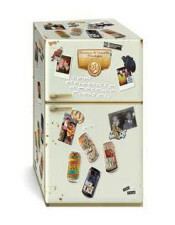 (San Leandro, CA) – 21st Amendment Brewery co-founders Nico Freccia and Shaun O’Sullivan couldn’t agree on what to stock the fridge with at their new San Leandro brewery, so they divvied it up and created the brewery’s first ever seasonal variety pack. Freccia chose Fireside Chat, the brewery’s fall seasonal winter spiced ale and Back in Black, dark IPA, “my every occasion beer.” O’Sullivan chose his flagship Brew Free! Or Die IPA and went a step further, brewing a brand new beer, a Mexican-style lager called El Sully, available only in the variety pack. 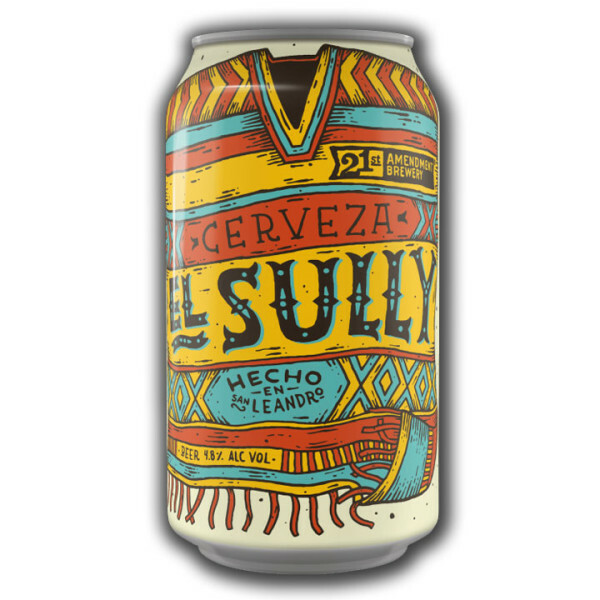 Named for Brewmaster O’Sullivan’s alter ego, El Sully is brewed with Pilsner and Vienna malts, flaked maize and Mexican lager yeast to create a bright, refreshing flavor that rings in at a drinkable 4.8% ABV and 19 IBUs. The fall variety pack hits shelves on October 1st in all of 21st Amendment’s current distribution territories and will be available through the New Year. Pick up a pack in CA, OR, WA, AK, ID, MN, OH, ME, NH, VT, RI, MA, NY, NJ, DC, DE, MD, PA, VA, GA, NV, NC, SC and IL, and keep your eyes peeled for more variety packs to come! For up-to-date availability, events and promotions, visit www.21st-Amendment.com. ABOUT 21st AMENDMENT: In 2000, Nico Freccia and Shaun O’Sullivan opened the doors to the 21st Amendment brewpub in San Francisco’s historic South Park neighborhood with Freccia managing the restaurant and O’Sullivan spearheading the brewing process. In addition to quickly becoming one of the city’s favorite pubs, 21st Amendment began expanding beyond the Bay Area by helping to pioneer the movement to canned craft beer. Known for their witty names and delicious brews, 21st Amendment offers year round selections, as well as seasonal offerings and their infamous ‘Insurrection Series’, a once-in-a-while limited edition release. Today, 21st Amendment operates out of its new San Leandro brewery headquarters and is among the top 50 craft beer brewers in America and is sold in 24 states.